Finally, a break from seeing the classic Nokia N-series drfting here and there. The Nokia Lumia is a Windows smartphone perhaps for Nokia fans reluctant to switch loyalty to the Apple or Android smartphones. IMO, I find the 710 more appealing than 800. Firstly, its shape differs from the typical pointed rectangular shapes you can see everyday in smartphones. Next, it’s whiteeeee!! White iPhones usually take ages to hit the market. (My Nokia N97 was white, too.) Feels so unique. 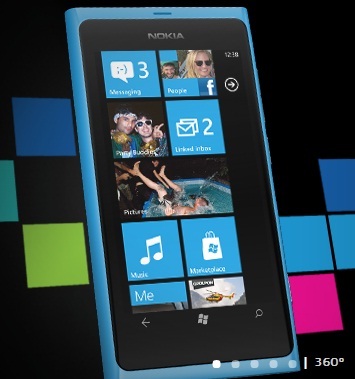 800 reminds me of the iPod Touch 4G, plus a blue photo frame. What I like about Nokia (not Symbian, hated how its system lagged for me after 1.5 years of usage) is its widgets. Apple has 0 widgets. Only a pull-down menu that may have been copied from Android, and pop-ups. Android has widgets, but they don’t load all the time if you’re low on memory (RAM) and they take up too much space. Not all widgets are compatible on Android, too, depending on the version you are using. Nokia’s widgets have character, and you can customize them to look the way you want. Background of your own, and notifications without messing up your ”personal space’. 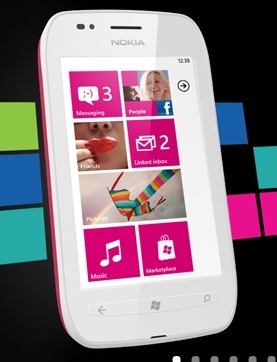 Bye-bye Symbian, hello Winokia. Which, however, was somewhat unexpected for me.. Windows on Nokia. !